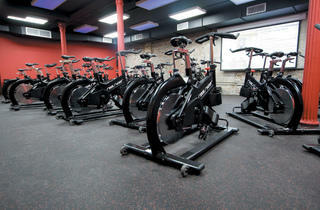 Imagine that unnerving sensation ofalmost falling off your bike in cycling class as you jump forward. That’s how you’ll feel leaning into the side-to-side movement (they call it “banking”) of the RealRyder bike, which simulates speeding around a street corner on your two-wheeler. 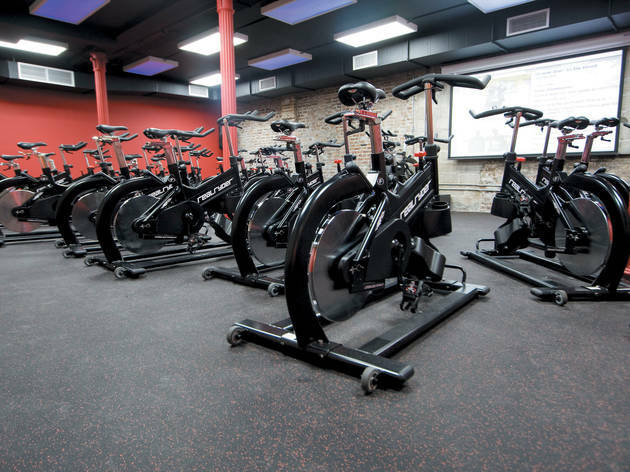 Add in a projector screen hung from the exposed brick walls of the subterranean studio playing a virtual ride through country roads, suburban neighborhoods and city streets, and you can picture a 45-minute RealRyder Revolution ride. El stop: Brown, Purple (rush hrs) to Merchandise Mart; Red to Grand. Bus: 11, 22, 36, 62, 65.